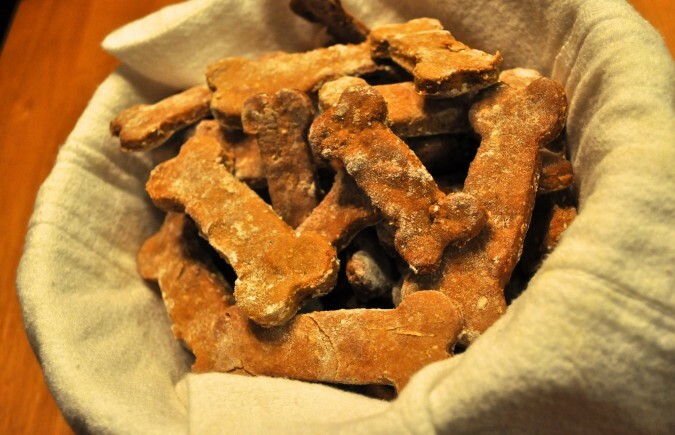 If you like to spread the flavor of the season among your 4-legged family members as well, try this easy, healthy, and inexpensive recipe for carrot apple dog treats. Your furry friends will love it! 2. In a large mixing bowl, whisk together the flour and baking powder. In a separate mixing bowl, whisk together the egg and applesauce. Pour the wet ingredients into the dry ingredients and stir well to combine. Then add carrots to the mix. Dough should have the consistency of Play-Doh. 4. Bake time varies greatly depending on size: 13-20 minutes. Store in an airtight container on the counter after thoroughly cooled for up to 1 week. 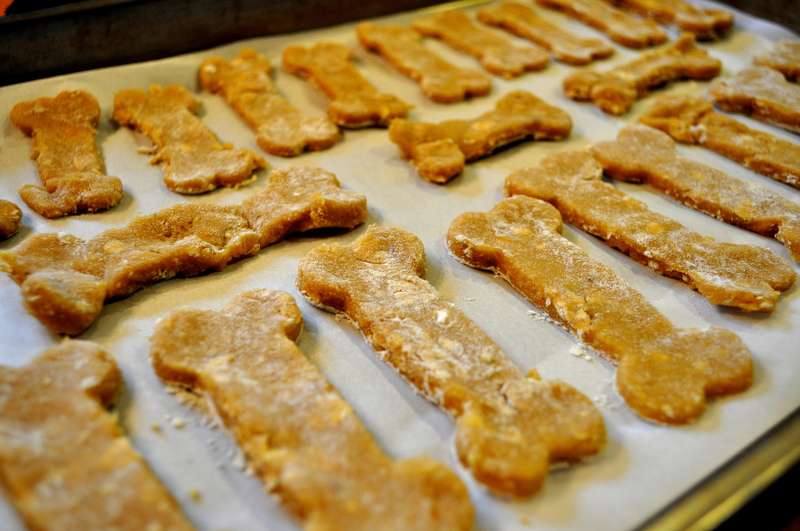 (Waiting until cooled is an important step; condensation can build and the moisture may cause treats to mold.) Store in fridge for up to 2 months; store in freezer for up to 8 months. I have a dogs with allergies. This recipe is one they would be able to eat. It’s different than the treats I currently make for them – I am sure they will enjoy something new. i have made them two times, delicious rnough for me to eat, but the consistency is runny. your picture shows chopped apple, no? anyway, do i just add more chickpea flour? Hello Wendy, a couple of other people had the same challenge so we adjusted the recipe (took the olive oil out and increased the amount of flour). We just made another batch and they turned out great. Let us know if this worked for you – and if your dog loves them!! I just mixed up a batch of treats. I’m having a serious problem with the consistency also. It calls for almost a cup of pea flour. I have used over two cups and still can not get the texture right. 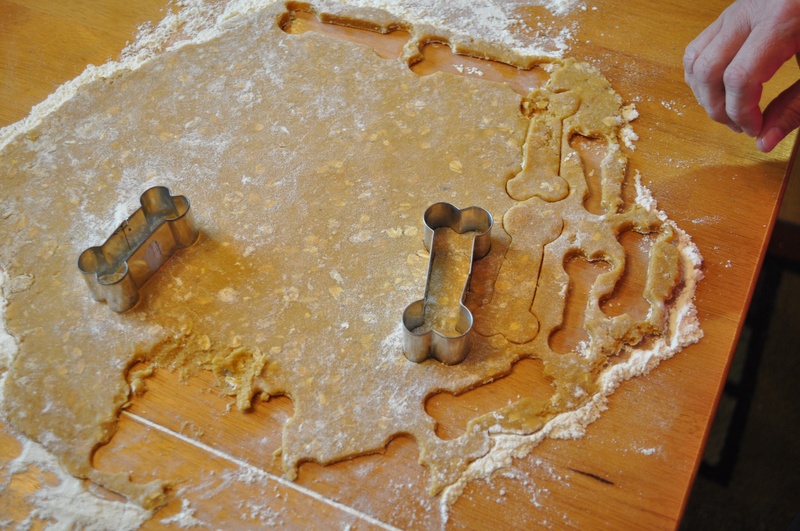 I really wanted to roll out the dough and make heart shaped cookies for our pup. Any other suggestions to get this recipe right and looking like the above photos? Yes, absolutely! Let us know if your pup likes them! Yes! If you use Chickpea flour these are completely grain free. We adjusted the recipe (took the olive oil out and increased the amount of flour for better consistency). 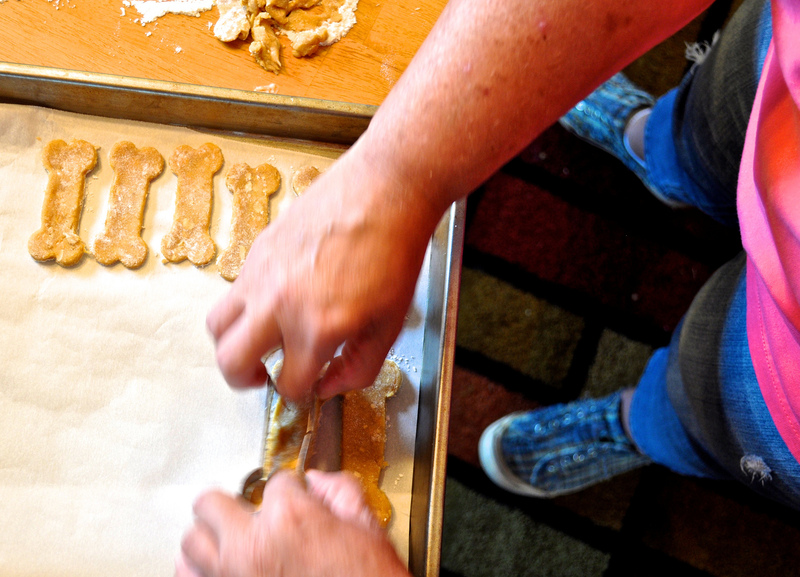 Let us know how they turn out – and if your dog loves them! !